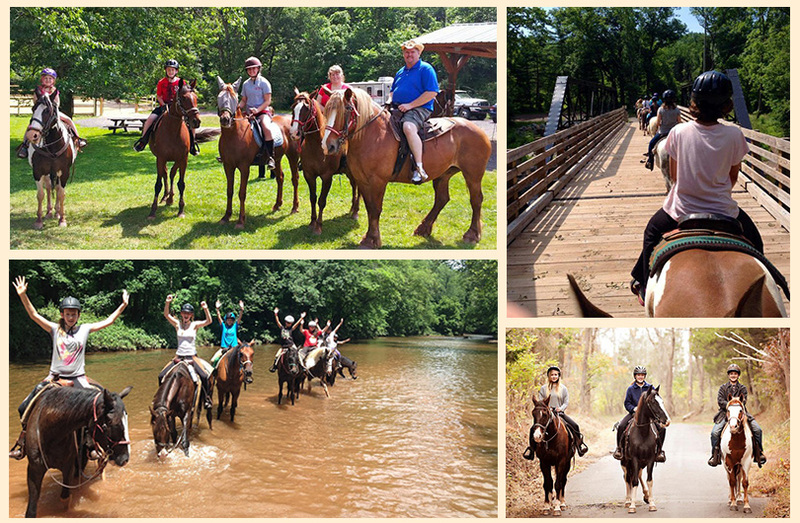 The Red Buffalo Ranch provides guided trail rides through the beautiful 3,500 acres of Evansburg State Park. We have a variety of trails that are suited to riders of all experience levels. With the aid of our experienced guides and our well trained horses, you are guaranteed a great time! We offer 1 hour, 2 hour, or any amount of time you are looking for. We also offer private trail rides. We ALWAYS ride to the level of the least experienced rider. Monday to Friday - 9:00a.m. to 3:00p.m. Monday thru Friday at 12:00p.m. or 4:30p.m. Monday thru Wednesday and Friday - 9:00a.m. to 5:00p.m. Thursday - 1:00p.m. to 5:00p.m.